So much for that August first date. 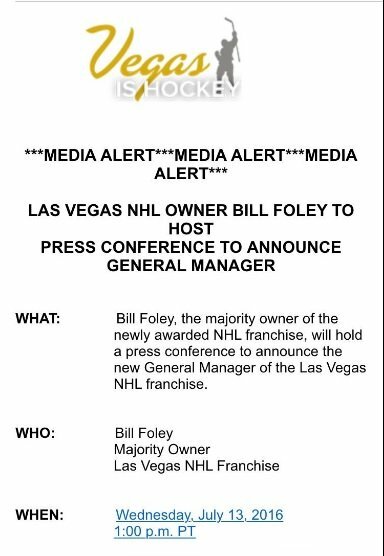 The Creator will hold a special press conference from the visitor’s locker room at the T-Mobile Arena beginning at 1 PM tomorrow. We’ll be there live and will be streaming it on Facebook Live. There’s heavy speculation by some highly respected NHL sources that The Creator will name George McPhee the franchise’s first general manager. Steve Carp of the Las Vegas Review Journal is also now reporting it will indeed be McPhee.